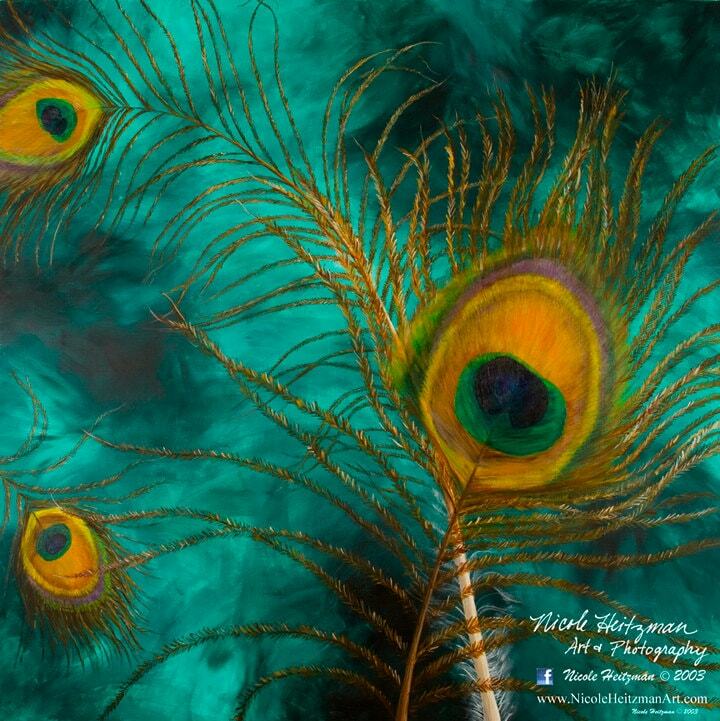 "Eye of the Tail Feather" is a naturalistic/abstract composition by Artist, Nicole Heitzman, of Parkston, South Dakota. She creates a variety of acrylic paintings that typically involve nature inspired subject matter. The most sought after size is the 24"x24"x1.5" Limited Edition Gallery Wrapped Canvas Giclee print. The edition size is 500. The next available size is the 20"x20" Luster Print Mounted to hardboard. The edition size is 750. The third size available is a 16"x16" Luster Paper print. It comes shrink wrapped with a foamcore backing. The edition size is 1000.